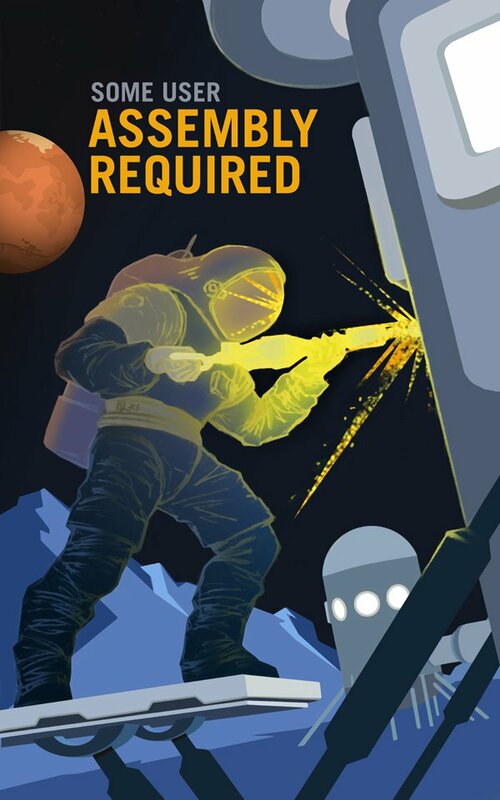 Been meaning to post a link to these NASA Mars Recruitment Graphic Design Posters for a while, but always something else getting in the way. Finally here we are, as I really do love these posters, and love that animated GIF. 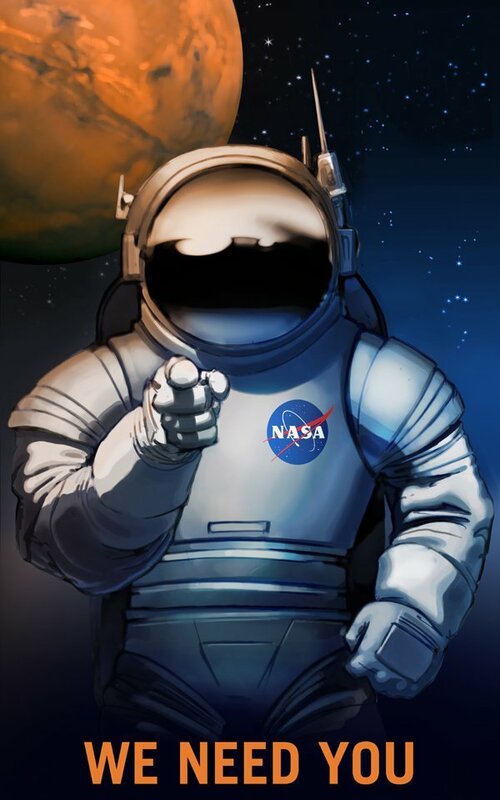 NASA: Mars needs YOU! 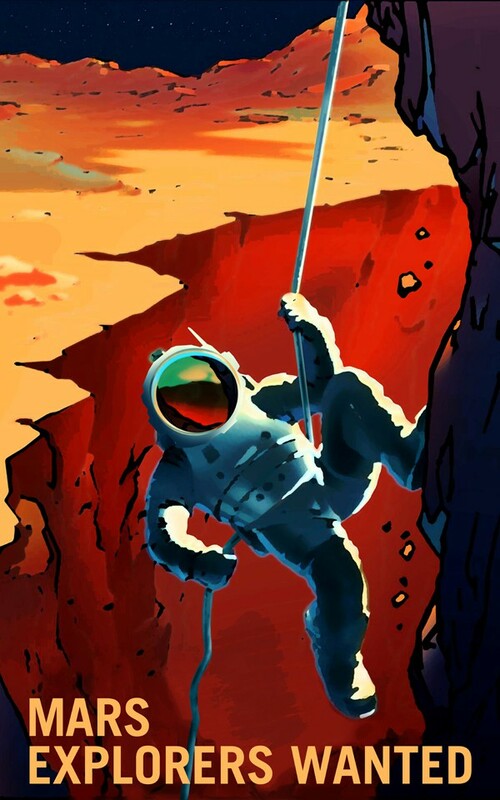 In the future, Mars will need all kinds of explorers, farmers, surveyors, teachers . . . but most of all YOU! 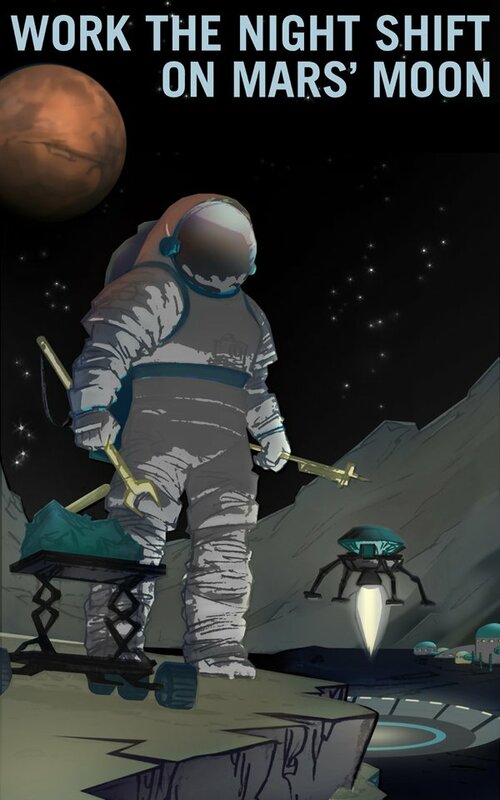 Join us on the Journey to Mars as we explore with robots and send humans there one day. 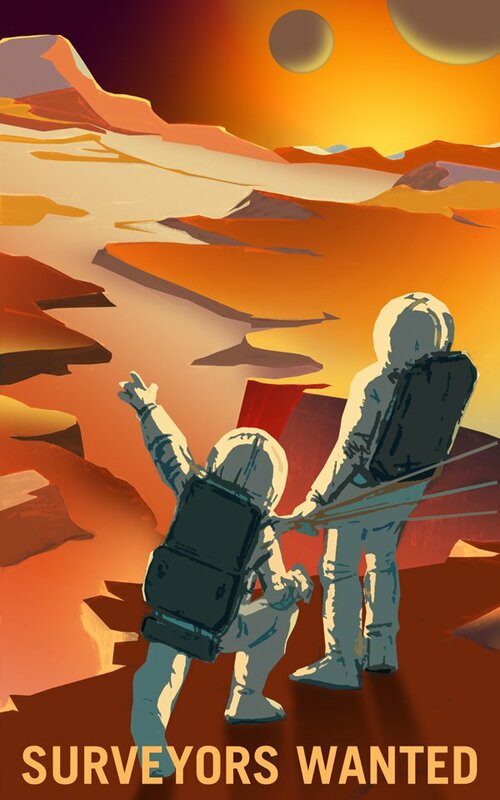 Download a Mars poster that speaks to you. Be an explorer! 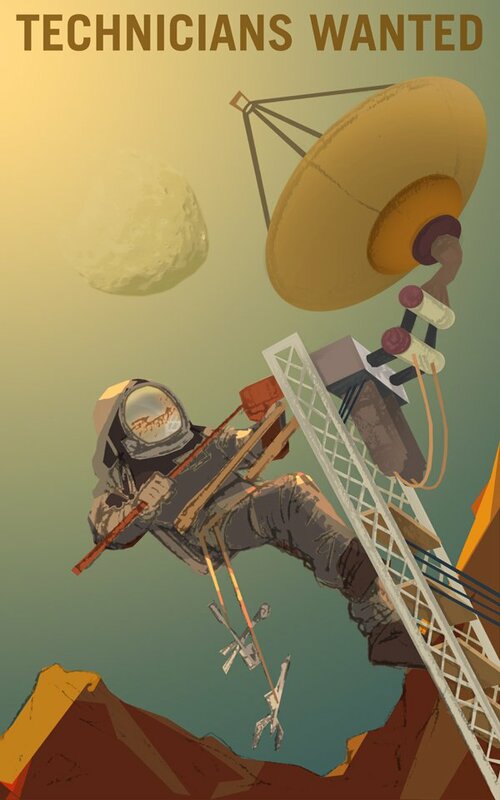 NASA have not just designed these beautiful posters to stir up out imagination, and desire to explore and colonise space, you can download incredibly high resolutions versions, for print, also. As an example, the high resolution TIF files come in at a whopping 92Mb! The posters are completely free, and can be printed and re-used as you see fit! Are you someone who can put things together, solving challenges to ensure survival? Dare to forge our future with space-age tools – build spaceships to carry us to Mars and back, and habitats to protect us while we’re there. Learning is out of this world! Learning can take you places you’ve never dreamed of, including Mars and its two moons, Phobos and Deimos. No matter where we live, we can always learn something new, especially with teacher-heroes who guide us on our path, daring us to dream and grow! Got a green thumb? This one’s for you! In space, you can grow tomatoes, lettuce, peas, and radishes just like you would find in your summer garden. 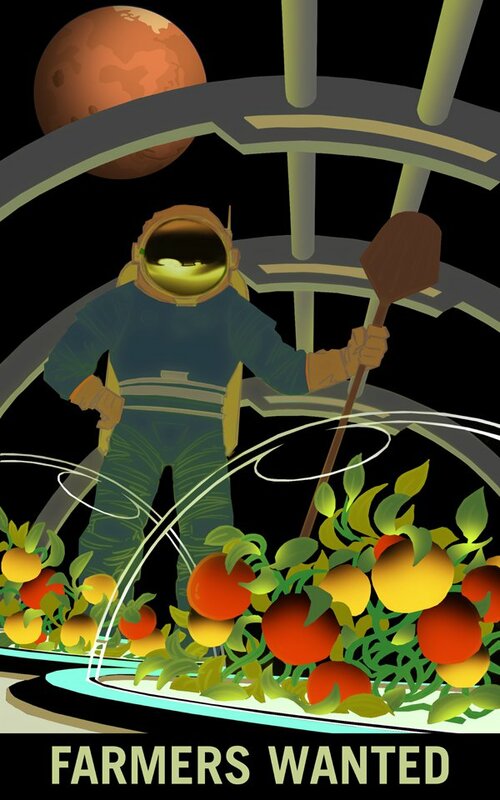 New ways of growing fresh food will be needed to keep brave explorers alive. Night owls welcome! If you lived on Mars’ moon Phobos, you’d have an office with a view, mining for resources with Mars in the night sky. 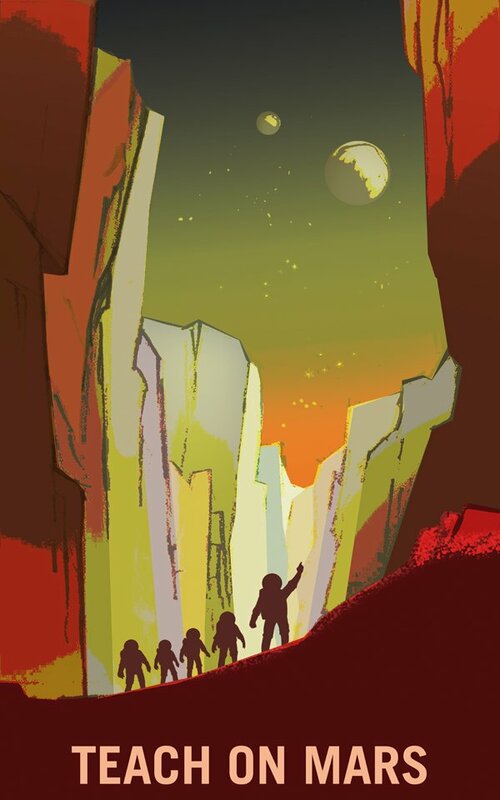 Settlers below on Mars would see Phobos rise and set not once, but twice in one day! Hike the solar system’s largest canyon, Valles Marineris on Mars, where you can catch blue sunsets in the twilight, and see the two moons of Mars (Phobos and Deimos) in the night sky.